This Saturday, October 31st, we will be hosting our annual “Doggone It to Summer” event at SFC Farmers’ Market Downtown. The market will have regular hours from 9am-1pm, with the parade starting 10am. There will be something for everyone to enjoy: a dog costume contest, local Austin judges, and of course the market vendors! Here are the top five things you should look for during the event. 5) Treats! - A post parade delight for your furry friend! Get the recipe from the SFC Info Booth tent. 4) Creative costumes - There is a costume contest during the parade so make sure to dress your canine cutie in their best getups! The judging categories are: Best Overall, ‘Keep Austin Weird” and Most Look Alike. 3) The Bones & Co - A local Austin business that puts dogs first, owner Ryan Cummings believes in making a dog food that is tangible, fresh, and made from the highest quality ingredients. Visit his booth this weekend (or any Saturday) to learn more about his mission. 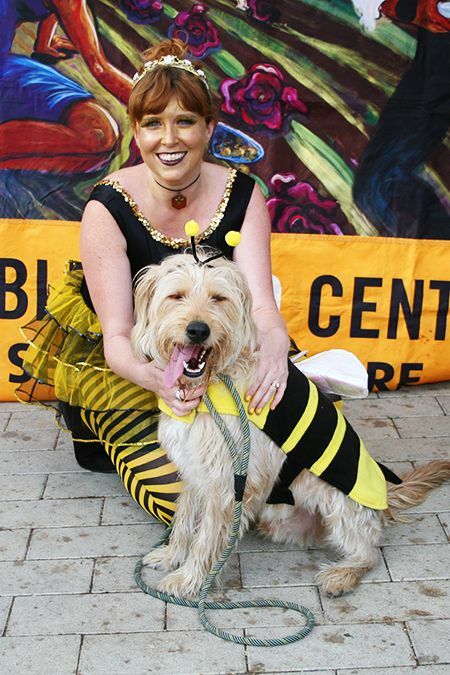 2) Local Celebrity Judges - We are excited to have Local Austin Celebrities join us to judge the dog costume contest1 Be sure to look for Angela Osborn from the Austin Humane Society, Sharon Chapman with Austin American Statesman, and Sid, Austin’s own Regal Beagle and Dog Mayoral Candidate! 1) Fun! - No matter what part of the event you come for, it is sure to be an amusing day at SFC Farmers’ Market Downtown!